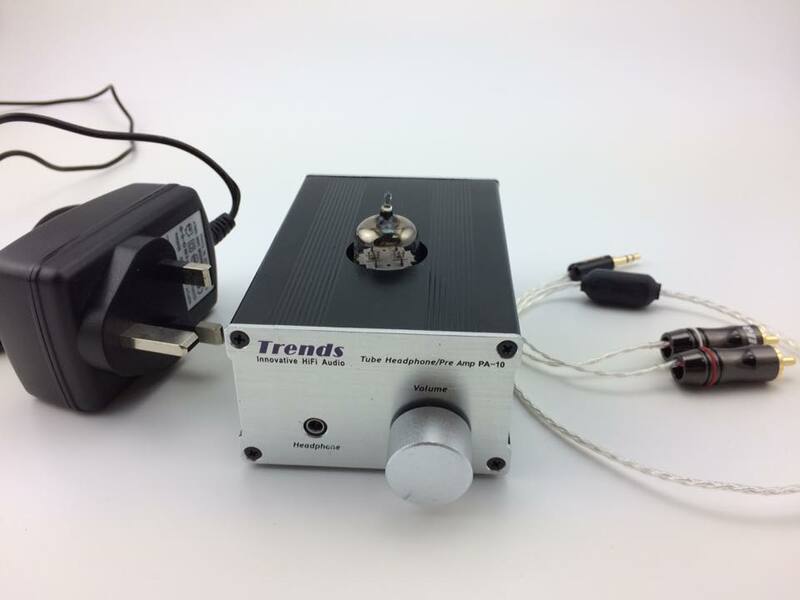 Trends PA-10 Tube Headphone/Preamp for Smartphone is an innovative audio product and provides all functions of headphone amplifier and pre-amplifier. It supports both 6DJ8/6922 series and 12AU7 series tubes and includes the innovative circuit design of low voltage hybrid (tube/transistor) pre-amp to provide audiophile quality sound, compact size, and easy/safe DIYer accessibility - pure class-A circuit to provide the best sound performance and have fun tube rolling with this fantastic headphone/Pre amplifier. The Trends CQ-205 3.5mm to RCA Audiophile Silver cable(Headphone Plug) connects with Trends PA-10 Tube Headphone/Pre Amplifier and let you access music files from the Smartphone/PC/Mac or any 3.5mm devices, listen to internet radio, even watch movies from the Smartphone with high end sound coming from your headphone. With RCA output, Trends PA-10 Tube Headhone/Preamp for Smartphone allows the user to hook up to any line level inputs such as Trends TA-10 Class T-amp or any amp. and home theater receiver to play digital music through this outstanding Hi-Fi gear. To drive high-impedance audiophile-grade headphones. ONE bi-triode 6DJ8/6922 or 12AU7 tube as voltage amplification and TWO MOSFETs as output driver which perform the warm, comfortable tube sound and in addition, guarantee the high fidelity & sufficient driving power to the next power amplifier stage. 3. Apply ALPS Volume Pot.